I have just started a clothing line and i need a logo made that will look good on my website and on the clothing. 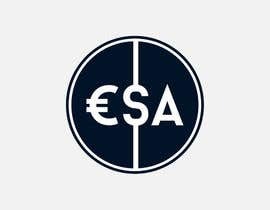 name of the business is European Society Apparel. Please show me what you guys got! I would prefer the logo to have the characters €$ in it but i would also love to see what your other ideas are!! I would like something symbolic, or hidden letters. feel pity for you,becuase you choosed entry that had been picked from the internet. This dude copied my design exactly pretending it will charge half the money and now is commenting I copied my design from the internet. Please show the proof I copied this from internet. Any thoughts on #13 ?